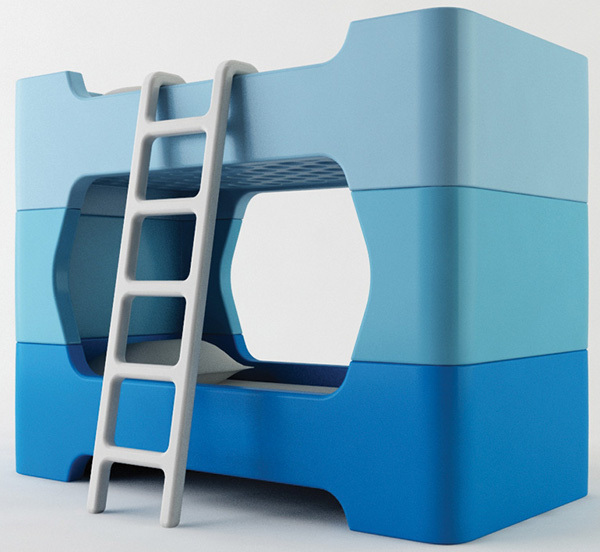 Marc Newson Bunky bunk bed – sleep and play! 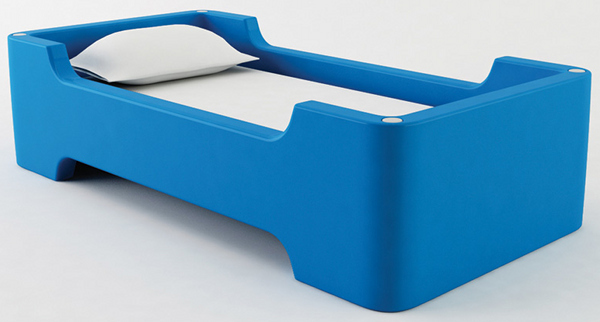 There’s a reason we only have plain mattress-with-base ensembles for my boys in our home. Quite simply, I think their heads would take more hits than I’d like with solid beds, no matter how much I crave lush designer sleep spaces for them. Rambunctious kids unite! 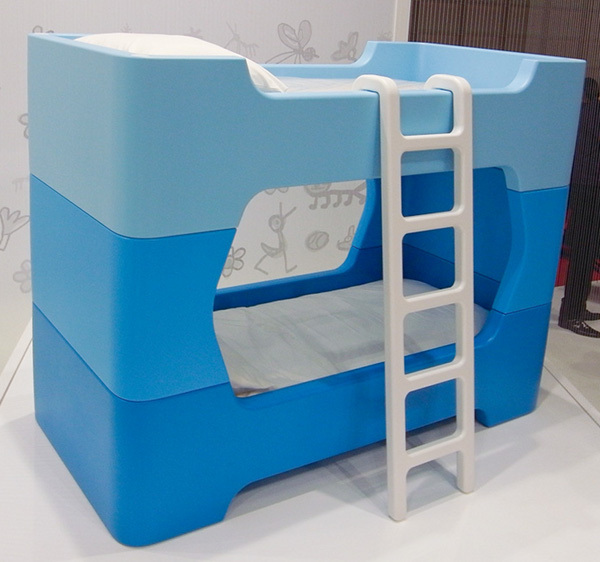 There’s now the Bunky bunk bed for kids, conceived by design royalty Marc Newson for Magis and shown at the recent Milan Design Week 2011. We’ve long been fans of Magis designs, having written about the Dodo and Puppy chair, Alma chair and the Nido Cave. Not only do they suit my space-age aesthetic, they are made from soft rotational-moulded polyethylene with no hard or sharp edges at all. Rumbling is back on the agenda for the kids, with fabulous designer looks and build quality for the parents. in which they can climb, hide and sleep”. This is so true of my children that it guides every purchase I make. Our home simply must accommodate their need to run and play and rumble with one another. They are usually cautious but our house is consciously set up for it, sometimes sacrificing aesthetics for safety. Let’s just hope there are solid plans to release this beautiful piece – right now it’s a concept but we’ll keep you posted!